Just over 3 weeks to go and the final blitz has begun. It’s really crazy trying to get everything squared away. I happened to be searching through photos tonight and came across this one. 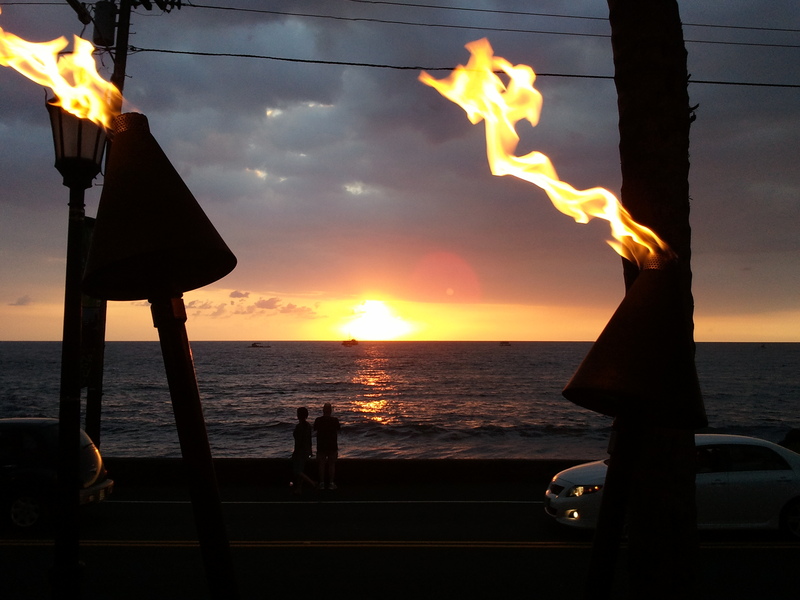 Kirsten and I took this while eating dinner in Kailua-Kona in January when we went to evaluate the feasibility of living there. You know the answer now. It’s insane at the moment, but it’ll be worth it soon. Next post: The Kids Are All Right?? ?